Working with Internet Explorer can be a pain for the everyday web designer. But it doesn't have to be. Many, if not all, of the bugs can be fixed quickly and easily by understanding how the occur. I've put together a list of the major problems beginners have with cross browser compatibility. I'm only going to be concerned with the major browsers - Firefox 2+, Safari 3+ and Internet Explorer 6+. IE6 is slowly declining. If you know the IE6 bugs you can generally know if your site will break before you even check it in a browser. This isn't an article for the super-experienced web designer, but hopefully will give some insight to some people who don't understand the mysteries of IE6 and cross browser compatibility. Every browser renders particular elements differently - different amounts of padding, margins, borders etc. This means your site can look different in every browser if you use default styles. The first thing you should do, which most people most likely know about, is to reset your styles. A reset is some css you place at the start of your styles that removes the padding, margin, border and other inconsistencies from elements, and rebuilds them in a standard way. Download Eric Meyer's reset.css and place the code at the start of your styles. Bam! Clean, cross browser styles. IE6 and IE7 both render resized images extremely badly. When you change the size of an image with CSS or in the HTML, it appears blocky and edgy. Easy fix. You need to add this to your code. You need to be careful with this fix, as it will break any Flash element that it touches in Firefox. There appears to be no workaround for it. There are common web fonts that we use - Arial, Georgia, Verdana etc. But there are some fonts that are common to both PC and Mac and can be used - Century Gothic, Arial Narrow etc. However, different browsers and OS's render type different, and you need to be aware of these differences, as your site could look dam ugly if you use the wrong font. Some people have stated that Lucida Sans will look fine in IE with ClearType, and others have said that it still looks bad. A smart alternative is to just not use Lucida Sans as your 'fallback font', and instead use Arial or another san-serif font. The ability to resize text differs amongst browsers and OS's. IE won't resize text thats set in pixels. If we set all text in em's, IE will exaggerate the text sizes when resized. 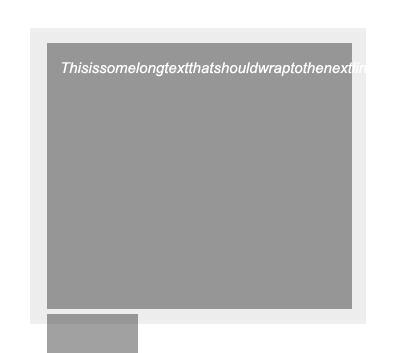 The best reference for font sizing is the article How to Size Type in CSS by Richard Rutter. The results - You need to specify the size as a percentage in the body element, and then size it in em's through the rest of the sheet. 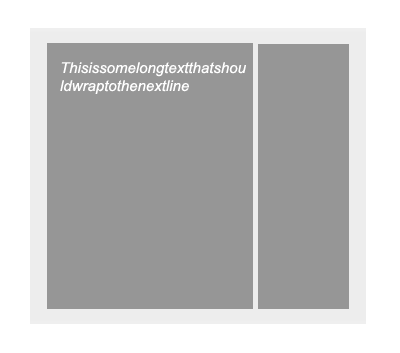 For line height, you need to define it in em's, rather than pixels, for consistent rendering. Another suggested technique is to resize it down to 10px, which makes it easier to size upwards in em's. For example. here is an issue with this however, if people use small font option in Internet Explorer, it could be so small that it's unreadable. It's only a small chance. But worth noting. The margin width is doubled. Any margin that is on the same side as the float will be doubled. Don't ask why. It's just IE. This means the element on the left will have that margin stretched out to 20px, which will probably break the layout. To fix it, all you need to do is put display:inline on your layout divs. Now that margin bug is all fixed. Even though it only effects margins on the same side as the float, it can still be useful to include this fix. You never know when you might use a margin on the float side. It won't effect any other browser, so you can use it safely. The solution is to use the overflow property. If you place overflow:hidden; into the layout divs, the layout won't break in IE6. 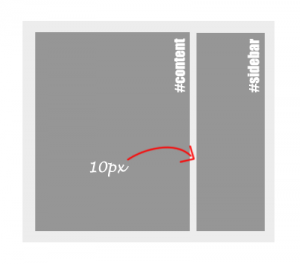 This could, however, cause some issues with layouts depending on how complex they are. It also won't cause the text to wrap, and it will just remain hidden. It's unlikely you'll have a string long enough to break a layout, but it could happen. Another option is to use word-wrap: break-word; in an IE specific stylesheet. This won't effect images though, so you'll have to make a choice about with method is appropriate for your situation. The container isn't correctly wrapping around it. 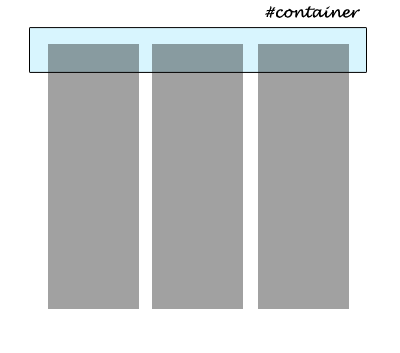 You probably won't notice this until you try and put a background on your container. You need to keep in mind that overflow:auto might cause some issues in Firefox. If you do have any issues, use overflow:hidden instead. If this is still causing issues, take a look at some other forms of clearing floats. Apart from just adding this, you'll need to make sure hasLayout is triggered in IE6. You can do this by specifying a width or height. 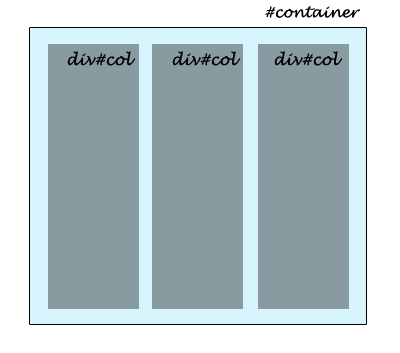 If you don't have a width in your container, you can use height:1% to trigger it, or zoom:1; if you can't afford to give it a height. Stick to your standard selectors. Nothing fancy. Only use E + F, E > F, E ~ F when it won't make a huge difference in IE. If you really need to use these selectors, you should look at using IE8.js which gives IE6 better selector support. However this will slow down your site. But we don't really care about IE6 users do we? IE6 doesn't support alpha transparency in PNG's. This is possibly the most annoying bug/issue with IE. There are a few solutions for this problem. You can either use AlphaImageLoader in an IE specific stylesheet, link to a behaviour file in an IE specific stylesheet or use JS to fix the issue. Not matter which way you choose, there is no way to have transparent repeating background images. Let's say you've given all your png image tags a class "trans", you select them with your css and use the filter property. You need to create a 1x1 transparent png file and link to it in the src attribute. An even better way to do this is via a behaviour. It's similar to the AlphaImageLoader, except that you link to a behaviour script that triggers the transparency. The third method is to use IE8.js which I mentioned earlier. It's even safer than the previous method, and you are very unlikely to run into any problems. Link to the script in your HTML, and it will make any png ending in -trans alpha-capable. eg. myimage-trans.png.